I have been eyeing my small backyard every day now that the snow has melted. Cultivating a green space in your backyard or on your patio can be both save you money and can have many health benefits as outlined on the blog Earth Easy. Some of the benefits include stress relief, reducing your risks for depression, brain health, and reducing your risks of stroke, heart attack and even various types of cancer. By planting vegetables, you can also cut into your grocery budget. The Globe and Mail estimates one tomato plant from a pack of $2 tomato seeds can save you $29.90 at the grocery store over the summer months. This means six tomato plants producing moderately from that same pack of seeds could save you $179.40 over the summer. Here is how to get started! Seeds are usually the best bang for your buck. 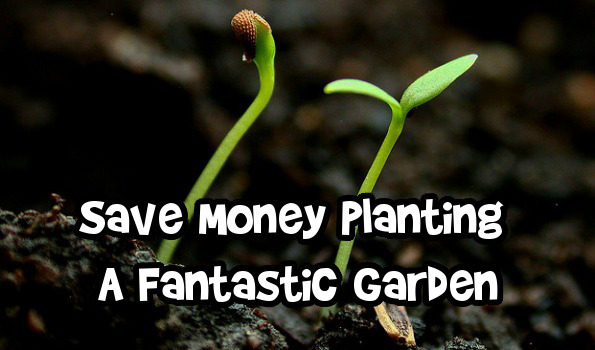 A pack of seeds, which costs $2 or $3 is cheaper than $3 to $10 per plant. Most seeds take 6-8 weeks inside before you can transplant the seedlings. Make sure to check when the last frost date for your area is before you transplant seedlings or plants into the ground over at USA Gardener, which lists dates for both Canada and the US. When the last frost date passes, you can move seedlings outside during the day and back inside at night until the plants are strong enough to transplant. Some seeds such as lettuce and peas can be planted straight in the ground. These plants grow quickly and have enough time to grow during Canada’s short summer. Another option is to buy plants. I like to find local plant sales in my community where the prices are often cheaper and you can often benefit from the advice of expert gardeners. A woman near me sells plants from her front yard every year to fund her garden. Not only do I like her prices, she also gives me great advice so the plants are successful. If you have a small garden or are planting a container garden, smaller plants with both a high tolerance and vegetable yield are your best pick. I have a pale green thumb and prefer to stick to these higher yield vegetables to ensure my garden produces more than I invest in it. Tomatoes: I find the smaller varieties are usually easier to grow and have an excellent return rate. If you love the bigger varieties, do a mix of small and big tomatoes for your best return. Green Onions: This time of year, I look for green onions on sale in the grocery store for fifty cents. I cook with the green part and soak the white part and roots in a small cup of water. When the roots get long, I plant them outside in a planter. This tip provided me green onions off my plants for over four months last year. Lettuce: Lettuce works great in planters, and I can usually plant at least two rounds of seed throughout the summer. You can also regrow romaine hearts by checking it out the technique in this post from Clare. Potatoes: I have had great success growing potatoes in a tub, plus it saves space in my regular garden. Check out these instructions from The Greenery Nursery and Garden Shop. For more reasons why you should try to grow potatoes in tubs, check out this post from Backdoor Survival. Zucchini: This vegetable keeps on giving. This plant needs a little more room but by mid to late summer, you will be swimming in zucchini. Check out this past Bargainmoose post from Heather for ideas of what to do with your zucchini haul. Herbs: Oregano, basil, chives, rosemary: the list only continues. Fresh herbs are delicious and easy to grow. Over at Savvy Gardening, she calculated her herb yield and saved $102.89 compared to buying at the grocery store. Placement can also affect how well your plants grow. Check out this handy visual guide at Savvy Housekeeping to help ensure your vegetables choices are friendly with each other. For more ideas of vegetables that are easy to grow in Canada, check out this blog post from Seasonal Ontario Food. Last year in an attempt to be frugal, I had decided not to plant flowers. I was fortunate that my neighbor was splitting some of her flowers and gave me some of the cuttings or I think I would have regretted my decision. Flowers not only improve the look of your backyard and garden, but also invite bees and other pollinators to your backyard which improves your produce success. When placed in front of your house they can improve your curb appeal, and in turn the value of your house. Buying small plants will give your garden an instant facelift, for the price of one potted plant, you can fill your garden with a pack of two-dollar seeds. 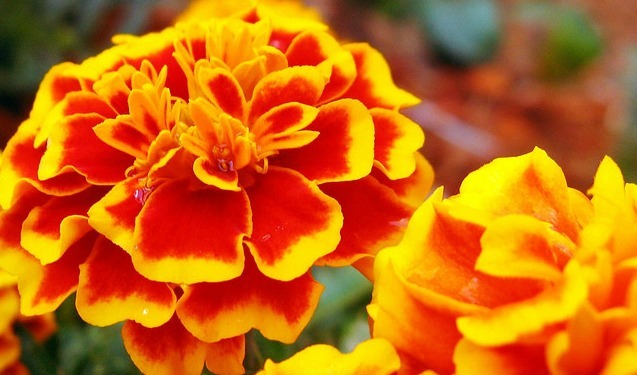 Over at HGTV Gardens, they have created a list of flowers that are easy to grow. A similar list of annuals is found at Get Busy Gardening. I really like the second list, as they explain how to collect the seeds from your plants for next year! One of my favourites to include is Marigolds, both for their hardy nature and they help deter rabbits. Bargainmoosers, what do you plant in your garden or container garden? Thanks Kristy! It's such fun growing your own. We've had an indoor pot with a chili pant, for the last 2 years now. It just keeps giving out little red chilis which are excellent - I can just pluck one and pop it in my meals. We've also expirimented with a few different produce in the garden, but not had much luck with anything except tomatoes and strawberries. You're very welcome! If you put your chili plant next to your tomatoes once it warms up, they should both thrive a little more even if one is in the pot and the other is in the ground. It is so Try those potatoes, they're almost fool proof and require very little care. I have found in the past a little fertilizer when I first plant and making sure to loosen up the soil well before planting also drastically impacts the success of my garden. Great article with lots of helpful hints and referenced links! Like you, I try to plant high yielding vegetables that my family will eat. I experiment with different coloured cherry tomatoes which yields more than large types. As for beans, I like to plant the pole type as you get more beans over the summer than the bush types; however, you will need to support them with a trellis or netting. Kale has recently been popular to grow, but I find swiss chard is easier in hot summers as it doesn't bolt and less bugs. With both plants, I harvest only the bottom leaves so the plant continues to grow and grow. Also, if you have a surplus, I freeze my beans and peppers in Ziploc bags. And, with tomatoes, I just freeze them whole without blanching or removing the skin to be used in curries, stews or soups as I don't mind the skin. You could also scoop them out as it comes off with cooking. It would be fun to see your progress with your garden photos or more gardening tips for this summer. I am glad you enjoyed the article, Irene! 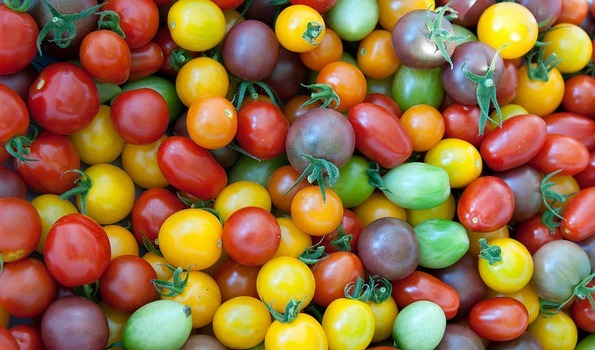 Have you had any luck with a particular variety of coloured cherry tomatoes? I have so far only stuck to red because I had good success. I agree the pole beans can produce a higher yield, but bush beans do pretty well also. I found between zucchini and pole beans I ran out of garden space quickly. I have never tried swiss chard. Do you eat it raw or can you cook it also like spinach? I had thought of possibly doing a follow-up post or two later in the season. I freeze and dehydrate quite a bit during the summer time from my garden. It is so delicious to taste produce from your garden again in the middle of winter. Happy gardening!